I planned to prepare couple of mocktails this weekend. But all my plans have changed when the house is filled with guests. I had a great time with family and cooked a big meal for 10+ count. Cooking and serving them made me busy and after the lunch, I was damn tired and not able to purchase anything for my moctail preparation. 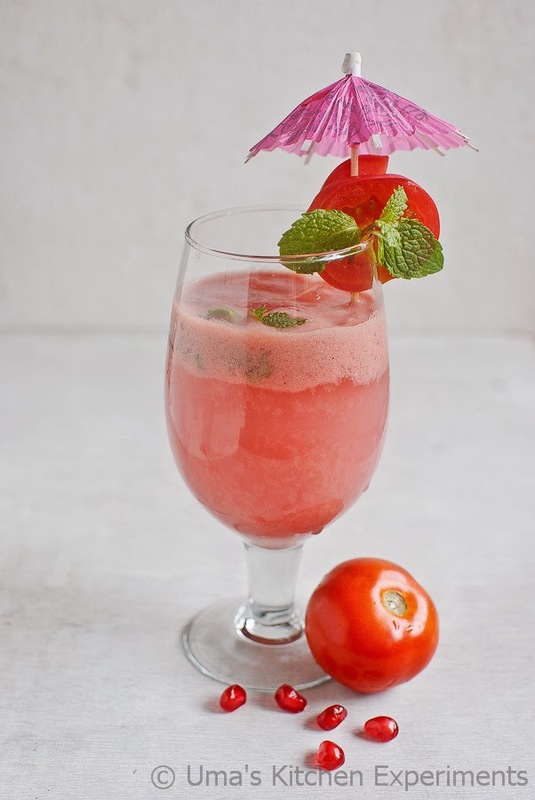 Last night, a random checking at my refrigerator to plan today's meal, a spark came in my mind and thought why don't we prepare a mocktail using the readily available ingredients at home. 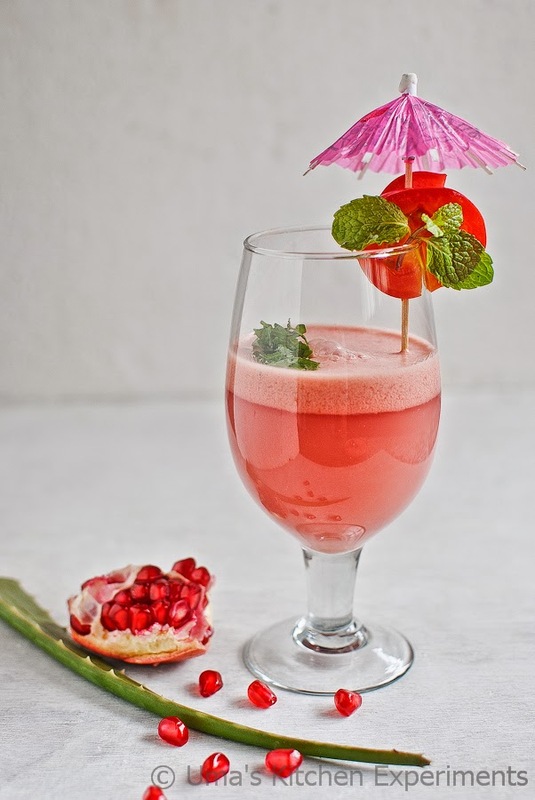 What else, I used few of the ingredients to make a simple yet tasty alcohol free drinks. All were prepared using the easily available household fruits and veggies. 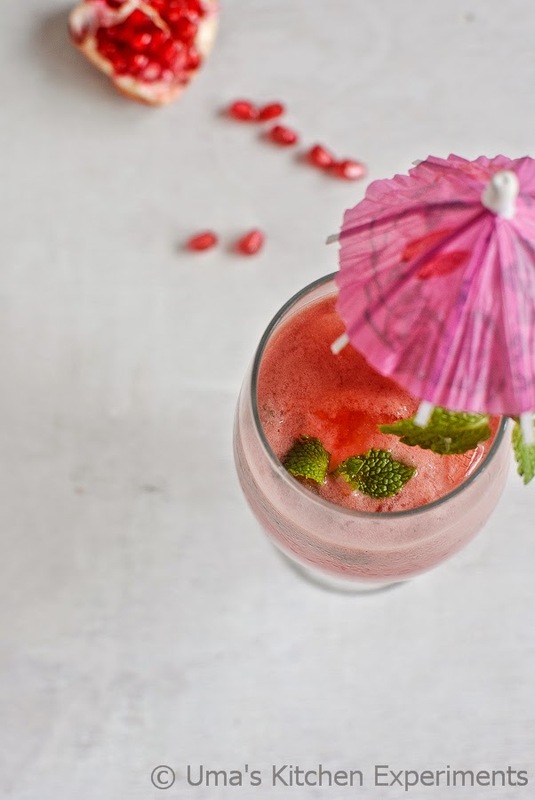 My first entry to Urban Dazzle by IFBM 2014 is Virgin Aloe Vera Mocktail. 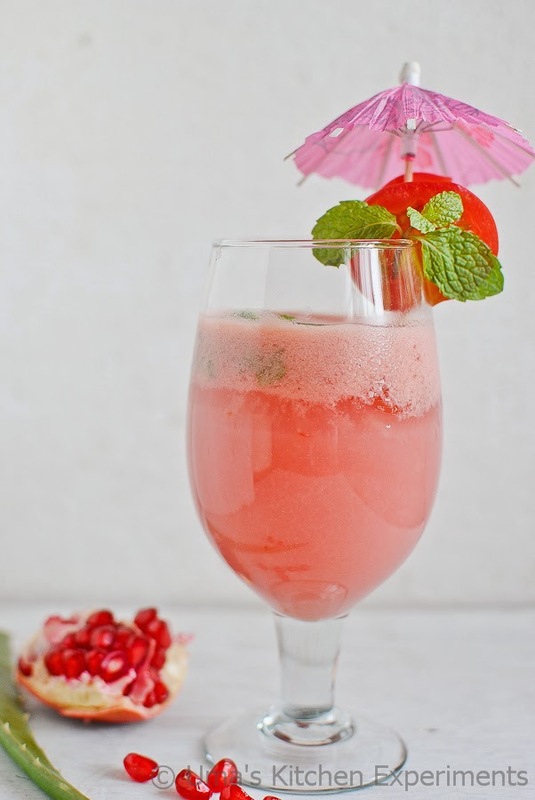 I love to serve this mocktail in this glassware which would really attract all by emphasizing the colour of the Mocktail. 1) In a large bowl, squeeze out the lemon juice. Add sugar. 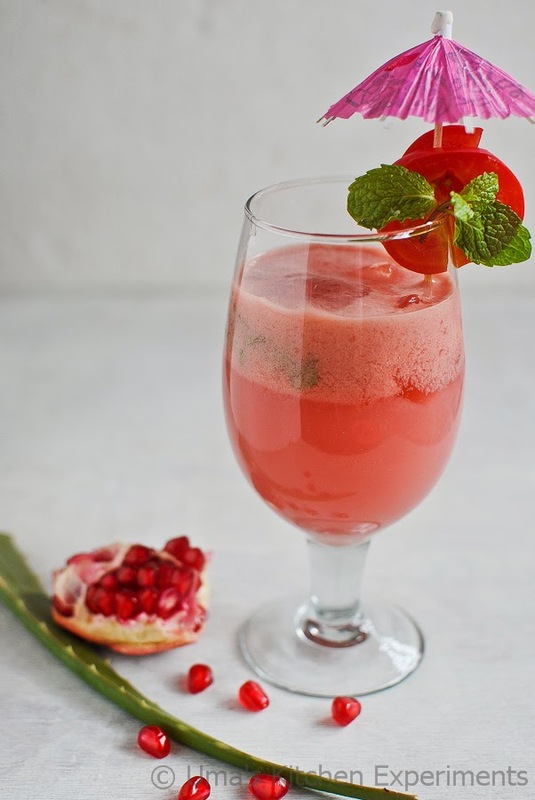 2) Blend tomato and pomegranate seeds by adding a cup of water and filter the juice alone. 3) Mix it with lemon, sugar mixture. Taste and adjust the sugar. 4) Peel of the skin of aloe vera and wash well in running water for few seconds to remove excess gel. 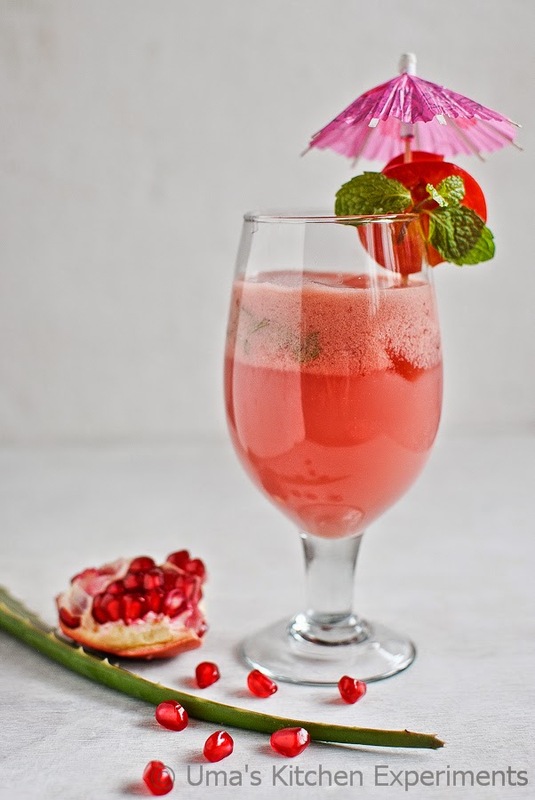 5) Add it to the prepared juice immediately along with mint leaves. 6) Blend till there is no lumpy form of aloe vera gel. 7) Add ice cubes and serve chill.